Hugo Boss Ma Vie Body Lotion for Woman 200 ml. 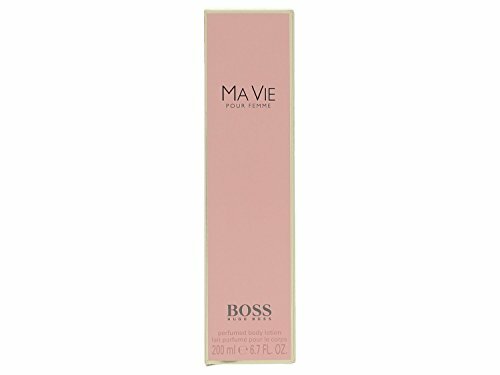 MA VIE BOSS BODY LOTION 200 ml. The new female body lotion by Hugo Boss Ma Vie is radiant, soft and smooth, Ma Vie, exudes an aura of captivating femininity. Its subtle warmth and lingering fragrance obtained results in a sublime modern sophistication. An elegant and feminine fragrance. Woman who wear this scent are sophisticated, strong, independent and are very aware of it.